Middle East banks say they are catching up to the global transaction banks, and in some cases winning greater market share by delivering solutions that meet the specific needs of companies doing business across the region. As transaction banking develops more fully in the Middle East, local banks are expanding their offerings for treasury and cash management, investing in new technology and partnering with global transaction-services firms to provide best-of-breed solutions on a global scale. In some instances, local and regional banks say they are taking business away from global banks, which have long served multinational corporations in the region. For the past five years, the focus of local and regional banks was building value-added cash-management and trade capabilities, often under a transaction-banking umbrella. 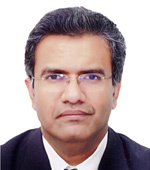 "Transaction banking, which used to be the preserve of global banks and largely unfamiliar to others, has become a household name among banks big and small," says Murali Subramanian, executive vice president and head of transaction banking at Abu Dhabi Commercial Bank (ADCB). "The driver for this is not hard to guess; it is the attractiveness from a regulatory (Basel III) and client-retention perspective, as well as a stable source of fee income that has gained more appreciation." ADCB was an early mover in attracting global talent and committing considerable resources in setting up what it describes as a world-class transaction-banking offering. The bank also formed alliances with global banks like Bank of America Merrill Lynch, Kookmin Bank and Banco Santander in order to overcome its limited international footprint. This has served it well in delivering global solutions to its own clients, as well as providing a "house bank" in the UAE for the global clients of its overseas partners who are looking to establish themselves in the region, Subramanian says. "The Middle East’s transaction banking pie is growing." By leveraging their balance sheets and investing in systems and people, Middle Eastern banks have built up their transaction banking business, says Farooq Siddiqi, regional head of transaction banking, MENA, Standard Chartered. And as they set up, they are expected to gain more momentum. "Local banks have been gaining business in cases where global banks have no on-the-ground presence or where the business has been exclusively mandated to local banks-for example, government-related businesses," he explains. "One-size-fits-all cannot be applied in MENA." International banks, he says, still have the advantage of a global network and of being able to provide solutions on both sides of the transaction, especially in cases of cross-border and global trade. "Standard Chartered, which has had a presence in the region for more than 90 years, is more local than most international banks and more international than local banks," asserts Siddiqi. The Middle East's transaction banking pie is growing, Siddiqi continues, with more companies realizing the benefits of transaction banking as a product and the region strengthening its position as a key player in global trade. 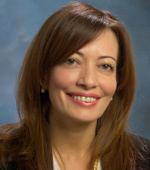 Nadya Talhouni, senior vice president and head of cash management and trade finance at Arab Bank, based in Amman, Jordan, says transaction banking has become an integral part of its core corporate banking offering, adding to its overall fee income base and achieving a solid share of wallet with customers. Arab Bank has also invested in infrastructure to ensure that its products maintain a high level of global and regional standards, she says. Its electronic banking solutions were built and developed in accordance with the diverse needs of the Middle East and North Africa regions in mind. "The one-size-fits-all approach is not something that can be applied in the MENA region," Talhouni explains. "Arab Bank, with more than 80 years of experience in this part of the world, leverages its local expertise to provide transaction banking solutions required by local and multinational companies working across the region." The treasury and cash-management business is a critical component to Arab Bank's overall relationship-based focus, Talhouni says. "We must be in a position to meet corporate customers' needs through a holistic approach, be it funding, payments, trade, et cetera," she says. "We understand the operating model of our customers and work with them to provide the needed solutions." The diversity of the region is demonstrated by the profile of companies requiring transaction-banking solutions, she says. They run the gamut, from international multinational corporations operating in MENA to regional MNCs expanding geographically to purely domestic companies. "Whether it's a one-person or family-owned business, a multinational corporation or anything in between, Arab Bank works closely with these firms to ensure that they obtain a well-integrated solution," Talhouni says. Middle Eastern banks say there is also a trend among companies in the region to limit the number of transaction banks they use. "The traditional approach of dealing with a multitude of banks is less feasible, from both an efficiency and cost basis," explains Talhouni. "Companies prefer to deal with two or three banks; those that can provide them with streamlined operations, speed and, of course, competitive pricing." "More importance is being given to reciprocal business." Lloyd Caughey, director of transaction service origination for Middle East and Africa at RBS, says banks can classify products and revenue items that make up transaction services in many different ways. In the United Arab Emirates, regional banks may classify transaction services as purely a fee-based business, whereas international banks may link the activity to fee and interest revenue flows. "It would be possible, therefore," says Caughey, "for a regional bank to increase its fee-based revenue and an international bank to increase its interest-based transaction revenue and for both to claim additional market share." RBS continues to increase market share in its chosen products and within a specific target market, Caughey says. 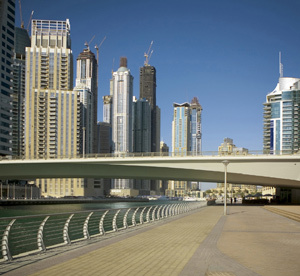 "Local companies are particularly receptive to our supply-chain-finance and commodity finance capabilities in the UAE." "It would be fair to say, though, that the international banks who offered liquidity in the Middle East without being physically present in the region have been less active, and some international banks have refocused their strategies here," Caughey adds. Following the 2008 global financial crisis, clients were forced to review their banking relationships based on the support they received during the crisis, says Isaac Thomas, senior vice president and head of cash management for ADCB. "Today, more importance is being given to reciprocal business and ancillary business," he says. "Transaction banking and consumer banking services are considered as rewards for proportionate financing support from the bank." Thomas says clients are unlikely to put all their eggs in one basket and focus on a single platform or cash management bank. "Recently, there has been a trend to adopt bank-neutral, single-platform solutions that are overlays on feeds from the various core banks," he says. "This is quite an exciting challenge to the traditional proprietary cash-management solutions." Local and regional banks say they are also increasing their share of the trade finance business. "Regional banks are implementing more-sophisticated solutions, not only to differentiate themselves from the international banks' offerings," says Talhouni of Arab Bank, "but also due to their intrinsic commitment to the region, as the success of the customer will mean the success of the banking industry." Krishnakumar Duraiswamy, senior vice president and head of trade finance at ADCB, says the bank's strategy is to focus on the UAE economy, as well as growing trade flows between the Middle East and Asia, especially the India-UAE corridor. Duraiswamy says ADCB has dedicated client segments catering to trading, services and manufacturing companies, contracting and multinational businesses. But as a number of large global banks have recently exited the region, Duraiswamy says this has accelerated the growth in market share of local banks and large regional banks in trade and cash management. According to some reports, international banks have retrenched to cut costs or avoid stricter money-laundering and Know Your Customer regulations. Keen to stress the benefits of working with indigenous banks, Duraiswamy says ADCB offers value-added solutions and caters to the entire working-capital cycle. "Global banks tend to look to the secondary market for their trade finance business, and local banks are key players in the primary market." 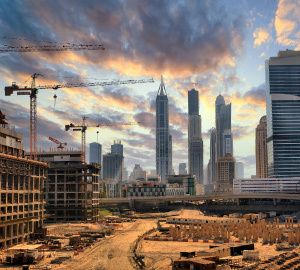 The UAE economy comprises mainly small and medium-size enterprises that deal with large global suppliers, as well as regional players, he says. 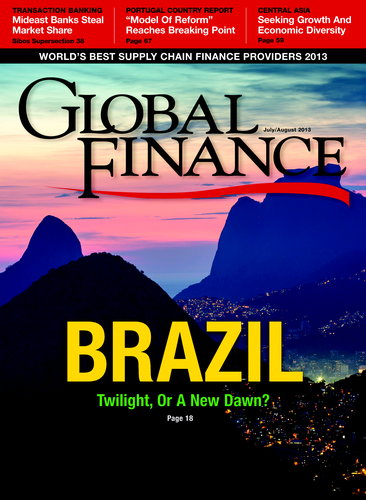 "Many clients still prefer simple, paper-based trading and simple trade-finance solutions." Family-owned firms are quite common in the region, and they are typically franchisees of global brands, as well as providers of diverse trading and other services in their own capacities. 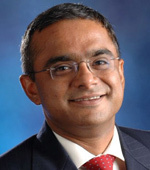 To cater for these kinds of firms, Subramanian of ADCB says, regional solutions need to be tailored to ensure they are less IT-heavy product offerings, facilitate quicker decision-making, real-time messaging and advice, mobile authorizations and the processing of paper instructions, all areas where the Middle East banks believe they can excel.